On April 5, 2013, from 10 A.M. until 5 P.M. the annual Herbal Fieldtrip will take place at the Ozark Folk Center State Park in Mountain View, Arkansas. Rosemary Gladstar, Steven Foster, Sasha Daucus, Susan Belsinger, Committee of 100 Herb Garden Chairman, Jennifer Blankenship and OFC herbalists, Kathleen Connole and Tina Marie Wilcox will teach on the hike. Participants will divide into small groups and rotate through several different hikes in order to experience the expertise of each teacher. Light rain or shine, bring a sack lunch, water, walking stick, and weather-appropriate apparel. 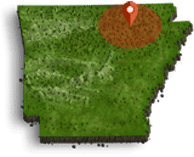 This year the hikes will be excursions in the Heritage Herb Garden and explorations of trails on Ozark Folk Center State Park land. On April 6, 2013, from 9 AM through 5:30 PM, experience Rosemary Gladstar’s Herbs for Family Health, hosted by the Committee of 100 for the Ozark Folk Center. Hear Steven Foster’s Enjoying the Spirit of Herbal Science. See Susan Belsinger’s Favorite Homegrown & Homemade Herbal Remedies. Learn about Hawthorn—A Humble Native Shrub for the Heart and Circulation by Tina Marie Wilcox. Pharmacist Jennifer Blankenship will present, Chinks in the Armor and Sasha Daucus will provide a sensory experience entitled Herbal Imagination. An herbal lunch is included on Saturday. The fieldtrip and workshop fees are as follows: Before March 28, $90; After March 28, $100. Field Trip only: Before March 28, $35; After March 28, $45. Workshop only: Before March 28, $65, After March 28, $75. The full schedule and fees may be found at www.ozarkfolkcenter.com on the herb event page or call 870-269-3851 for more information. Call 800-264-3655 for lodging reservations and inquire about the special herb weekend rate.